ASEAN is home to a population of more than 600 million. Rapid urbanisation has lead to congestion in the city areas where population is denser. A study by McKinsey shows that congestion drains productivity by an estimated 2% to 5% of each ASEAN member’s GDP. In the Philippines, US$67 million is lost everyday due to traffic conditions in Metro Manila and could worsen to US$100 million by 2035 if left unchecked, according to a study in 2018 by the Japan International Cooperation Agency (JICA). Similarly, in Hanoi, the second most populated city in Vietnam, daily congestions costs the city US$1.2 billion annually, according to the Transport And Development Strategy Institute, Ministry of Transport. Moving a vast amount of people and goods requires efficient transportation and supporting services, which calls for improved transport infrastructure. Governments in the region have rolled out various initiatives to enhance the transportation and logistics sector. In 2018, Thailand implemented the Transportation Action Plan which includes 44 projects worth more than US$60 billion. 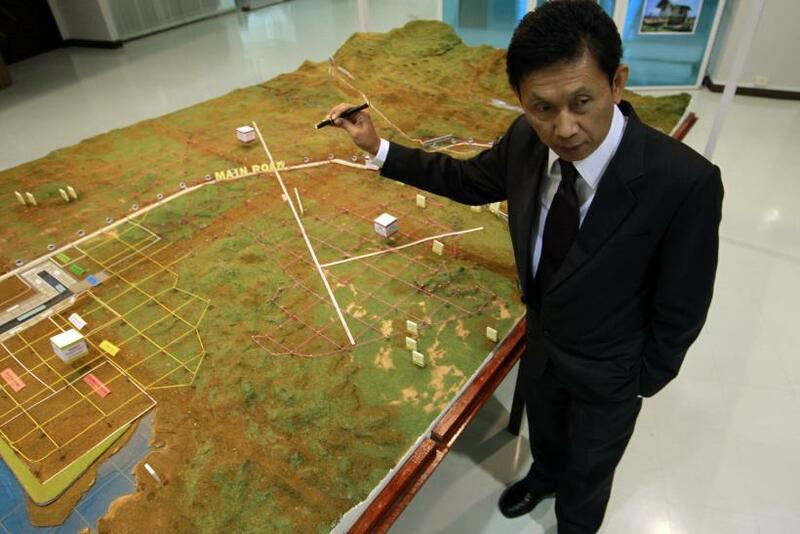 Other initiatives include the Map Ta Phut Industrial Deep Seaport located in the Eastern Economic Corridor (EEC). The US$1.7 billion project, currently under its third phase, is overseen by the Industrial Estate Authority of Thailand (IEAT) and expected to commence operations in 2025. A highway linking the Myanmar-Thai border with the Dawei Special Economic Zone (SEZ) will be jointly upgraded by Myanmar and Thailand. Set to be Southeast Asia’s largest industrial complex, the US$8 billion project has been sealed in an agreement signed by the two countries in 2018. It will include high-tech industrial zones, export-processing zones and a deep sea port. President Duterte is pressing on with the ambitious “Build, Build, Build” program in the Philippines. For 2019, US$8.5 billion is set to be invested into transportation infrastructure such as roads, railways, air and sea ports. Key projects include the US$45 million Road Upgrade and Preservation Project and US$270 million PNR North 1 Railway. The aim is to make goods transportation more efficient through better connectivity, and build a reliable and safe national roads network. In Indonesia, President Jokowi has pledged that his administration will invest in building more infrastructure and enhancing the existing ones such as toll and non-toll roads, ports, railways and airports. Under his administration, infrastructure spending has surged to over US$30 billion with 222 national strategic projects involving roads, railways and bridges in various stages of completion. The country’s Chief Economic Minister, Darmin Nasution, also urged for the adoption of information and communication technology into the current system to enhance competitiveness and optimise daily operations. The municipal Department of Transport in Ho Chi Minh, Vietnam has brought in global experts of urban planning solutions from Sweden to aid in creating urban living spaces and a smart transport network. Its Vice Director, Tran Quang Lam, highlighted that the city has set up plans for eight Mass Rapid Transport (MRT) systems, three monorails and six Bus Rapid Transit (BRT) systems. Apart from adding capacity in transportation infrastructure, digitalisation is a concurrent approach taken to improve efficiency and support growth of the sector. The introduction of smart infrastructure, based around the Internet of Things (IoT), will grant opportunities for higher levels of performance and more automated and flexible solutions. Sensors and data analytics provides more comprehensive information and allows better decisions. Examples include efficient route planning based on forecasts of the traffic situation, and software-assisted management of traffic flows. In congested cities such as Hanoi and HCMC in Vietnam, and Manila in the Philippines, implementation of Intelligent Transportation System (ITS) is sought to relieve traffic problems. ITS allows benefits such as enhanced monitoring and tracking capabilities, more information to facilitate better decision making and predictive maintenance using data analytics. It reduces downtime and improves efficiency remarkably by improving overall situational awareness while enhancing interoperability and the ability to share information quickly. Given the current global and regional focus on digital transformation, ASEAN member states are reviewing policies on existing transportation infrastructure and operations, and taking efforts to implement systems and applications to improve productivity. Pelindo, Indonesia’s State-owned port operator is focused on adopting technology to improve efficiency. Through an integrated system powered by AI, Pelindo’s Teluk Lamong Terminal has eliminated physical documents, face-to-face administrations, and people queuing to settle fees and documentation. Cikarang Dry Port, a private owned terminal, utilises IoT Technology to perform efficiencies around 60% to 70%, speeding up business processes. Digital initiatives such as auto-gate system and e-Delivery Order, has helped hasten distribution pace and improve customer experience. Evidently, its service volume increased by 27% in the first half of 2018. 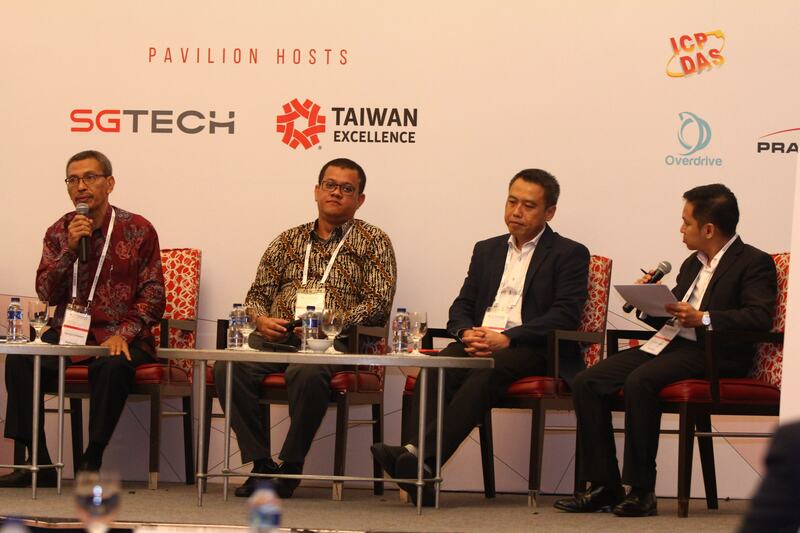 Airport operators in Indonesia are also embracing digital transformation. With the vision of developing the best smart connected airport in the region, Angkasa Pura, Indonesia’s state airport operator, launched the first Airport Operation Control System (AOCC) in Indonesia’s Sultan Aji Muhammad Sulaiman Airport in 2018. Applications were also launched to improve customer’s experience and for airport employees to streamline daily operations. Malaysia launched its ITS Blueprint 2017-2022 as part of the government’s efforts to upgrade its current transportation system, with big data analytics forming the core of the system. Data gathered from ICT infrastructure is analysed to gain insights and gives alternative choices for more efficient operations. Support systems such as mobile apps will help consumers make more informed transportation choices.. Since 2016, tests have been carried out to facilitate the implementation of a smart traffic management system in Cyberjaya, the silicon valley equivalent for Malaysia, to monitor and optimize traffic control. Held in collaboration with a subsidiary of Telekom Malaysia Berhad, the test comprised of IoT networks, cameras with analytics capabilities and a central traffic management command centre. The blueprint for 2017-2022 will guide the continued implementation and improvements of these systems in other states. The Metropolitan Manila Development Authority (MMDA) Chairman Danilo Lim said it is urgent to use modern technology to deal with traffic, urban planning and renewal in Metro Manila. The government agency announced in June 2018 of plans to adopt the ITS currently implemented in Seoul, South Korea and adapt it to suit the local needs. The system is expected to mitigate traffic congestion in the densely populated city of Metro Manila, home to a daytime population of 15 million. In late 2018, under the Project for Comprehensive Traffic Management Plan for Metro Manila, MMDA and JICA are working together to identify and analyze traffic bottlenecks, develop a 5-year action plan that contains sustainable solutions on traffic management, and capacity enhancement. The agencies also signed the Records of Discussion for the Technical Cooperation Project that will begin in 2019 until 2022. The project aims to ease road traffic congestion on major roads in Metro Manila. Japanese experts, on road traffic management, traffic policy and intelligent transport system, will be dispatched to assist MMDA in crafting suitable solutions. The municipal department of transport in Hanoi is set to launch a city-wide ITS scheme in 2019. The scheme aims to digitalise the database on transport infrastructure and means of transport, apply software for an intelligent traffic management system, and improve the handling of traffic violations. The department also proposes the development of an online digital traffic map, as well as the application of information technology in managing and using parking spots. By June 2020, the department will focus on issuing regulations for installation of automatic fee payment and auxiliary equipments on all cars in the city as well as requiring drivers to open accounts for automatic payments of toll, and traffic fines. As the most populated city in Vietnam, Ho Chi Minh City (HCMC) is also considering implementing ITS. HCMC aims to promote sustainable traffic development in urban areas by controlling the growth of individual vehicles and improving urban transport quality with a vision for 2030. Interconnectivity will be a focus of ASEAN in 2019. 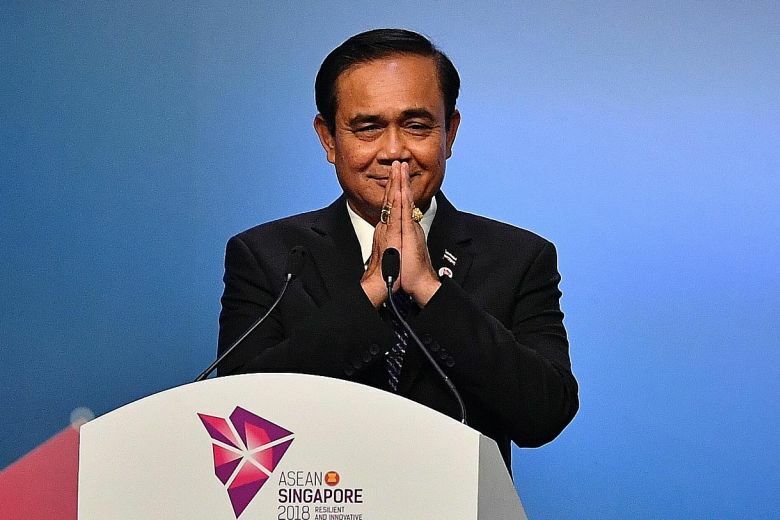 With Thailand taking over as ASEAN Chairperson in 2019, the Ministry of Digital Economy and Society (MDES) is preparing a master plan for collaboration, in line with ASEAN’s theme of “Advancing Partnership for Sustainability”. The plan aims to improve and facilitate further intra-Asean cooperation across five categories, namely smart city development, cyber security, connectivity and mobility, harmonisation and alignment, as well as manpower and society. Transportation is a critical enabler for movement of trade and people and collaboration will pave the way forward for the development of the region. Share your thoughts with other key stakeholders and gain further insights on the digital transformation strategy and initiatives at the Asia IoT Business Platform 2019. Drop us a note at info@industry-platform.com if you are interested to be part of this enterprise digital transformation conversation in ASEAN or you may register your interest at http://bit.ly/2QA60li.